It’s good to be back! 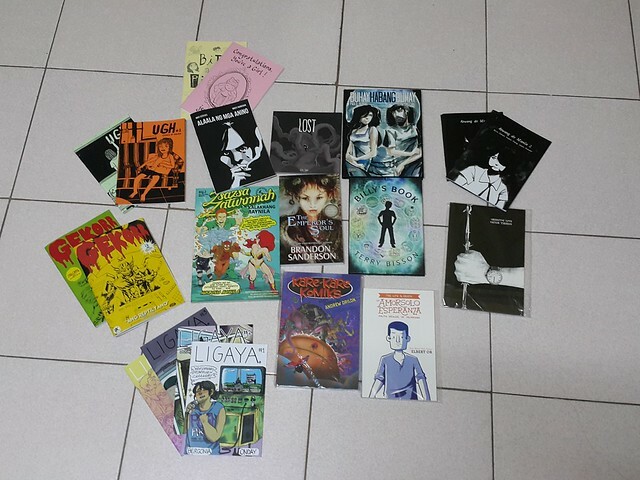 I missed last year’s Summer Komikon so I made it a point to attend this year and ask kind folks online what good titles are out there. We were very happy with our purchases and will spend the next few days going through them. My early raves and recommendations: Lost, 12:01, Congratulations, You’re a Girl!, Bits & Pieces, and Ugh. I hope to find the time and energy to review them one by one. 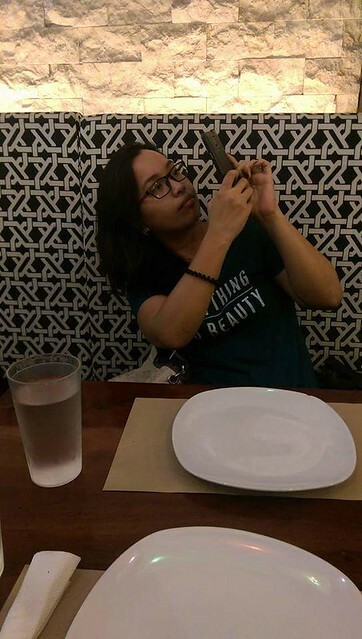 We escaped the summer heat and dropped by Greeka Kouzina (which I also recommend) for dinner. 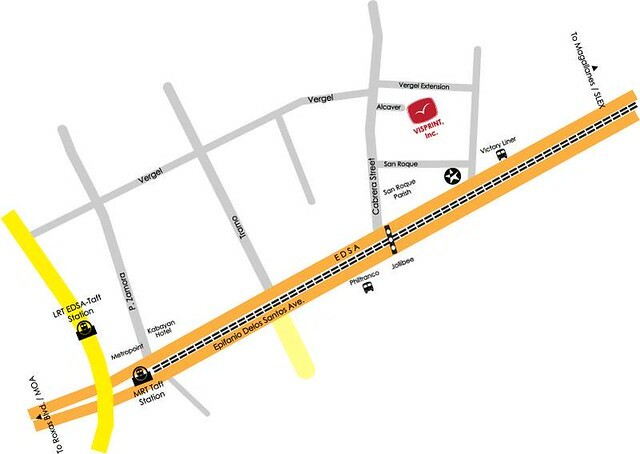 It’s a short walk away from Bayanihan Center. 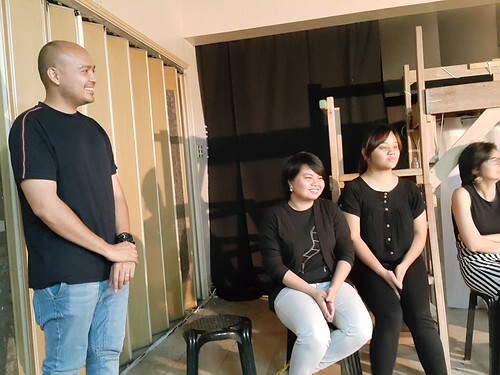 My one-act play Marte has been chosen as part of the main line-up of the upcoming Virgin Labfest. Very exciting news; I have seen great plays in the fest, and now I’ll be able to be a part of it! 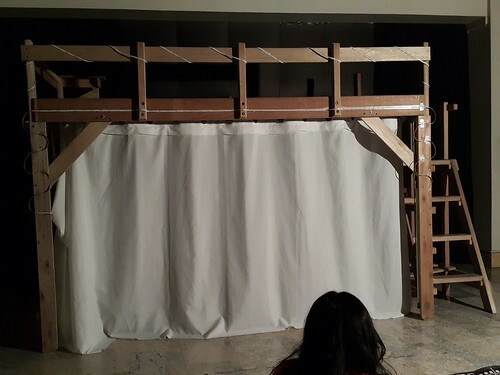 I can’t wait to see this little thing come to life onstage. See the full list below, which was culled from an unprecedented 197 entries. 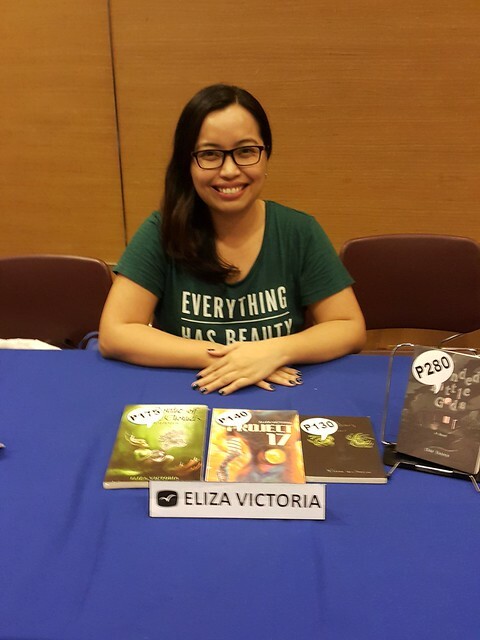 Of the playwrights whose works were picked for the main line-up, five are “virgins.” Of these, the most notable is Eliza Victoria, who first gained attention—at least, from the literary community—for her Palanca award-winning poetry collections “Reportage” and “Maps,” and for her National Book Award-winning novel Dwellers. 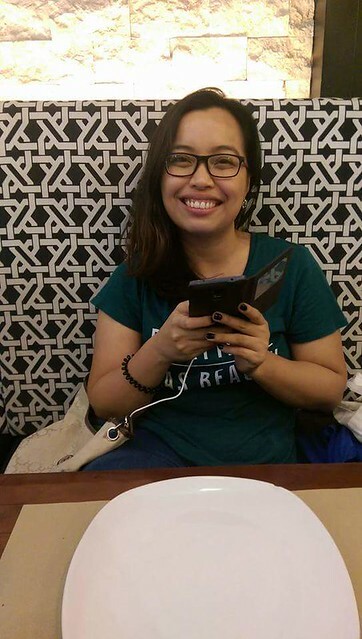 My thanks to all those who joined the giveaway, and congratulations to Mays T. I also chose another winner (Pamala G) from those who participated in my survey from way back. Thanks and enjoy reading! Copies of the book have also been delivered to Fully Booked and Precious Pages bookstore branches. 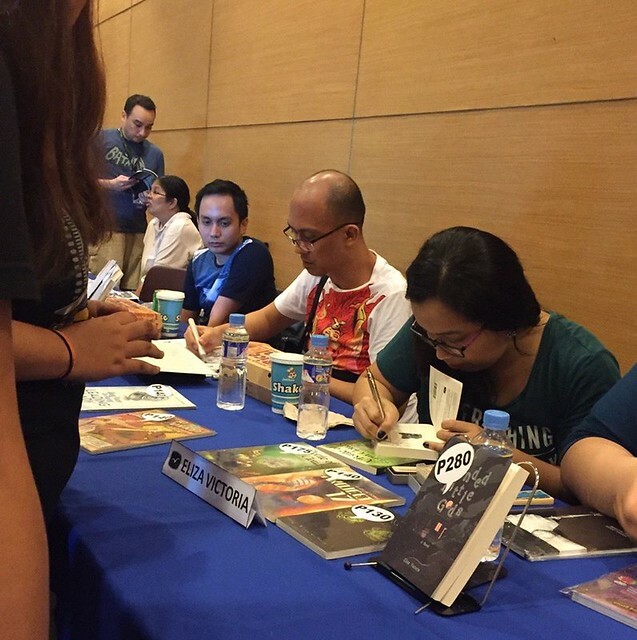 Here’s a photo from Budjette Tan as proof. It’s coming soon to other book stores near you. If you want a copy now, do email/alert bookorders@visprint.net. The tenth volume of the Philippine Speculative Fiction series is now available in the following online venues, so please grab a copy. This is the landmark tenth volume of what’s been called “one of the most important projects to come out of the contemporary writing generation”. 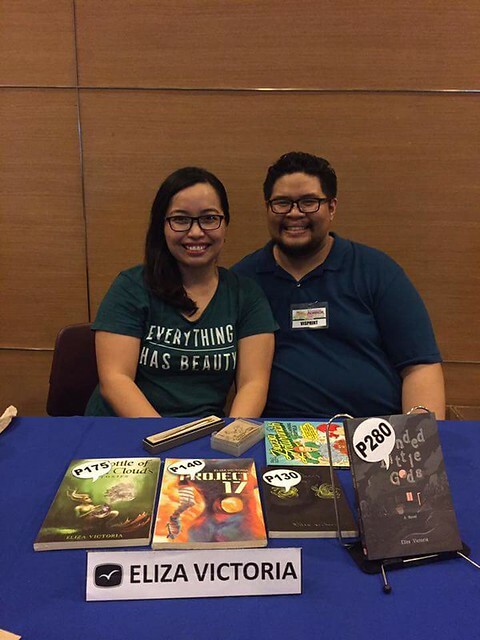 PSF is credited as the springboard for the thriving Philippine speculative fiction movement, which defines, explores, and sometimes blurs the boundaries of science fiction, fantasy, horror, and all things in between. 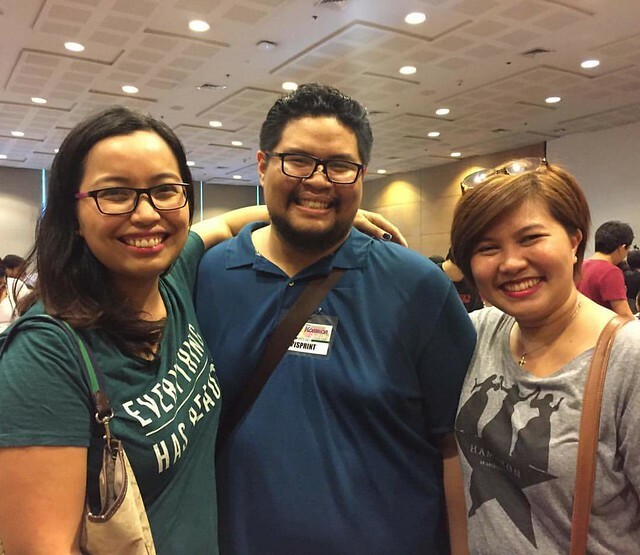 Philippine Speculative Fiction X is proud to present a representative range of exemplary stories from Filipino writers, including both renowned veterans and exciting new voices in the field. There will be a launch on Saturday, May 7, at 2 p.m. at The Coffee Bean & Tea Leaf, Shangri-La Plaza Mall. Please join us. 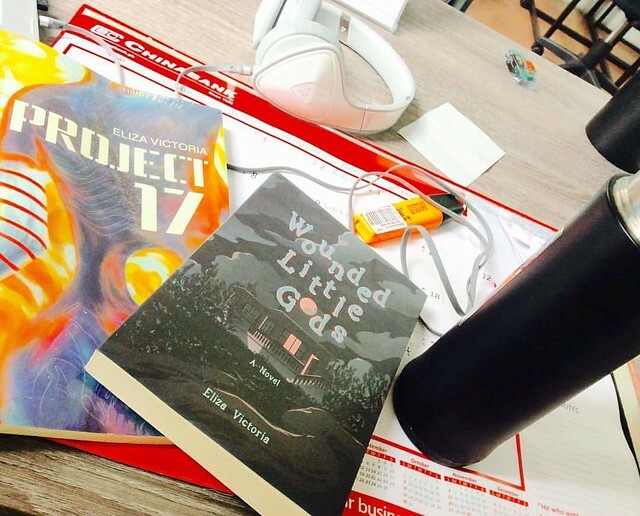 writing roundup: online reads + a nomination + my compli copies are here! 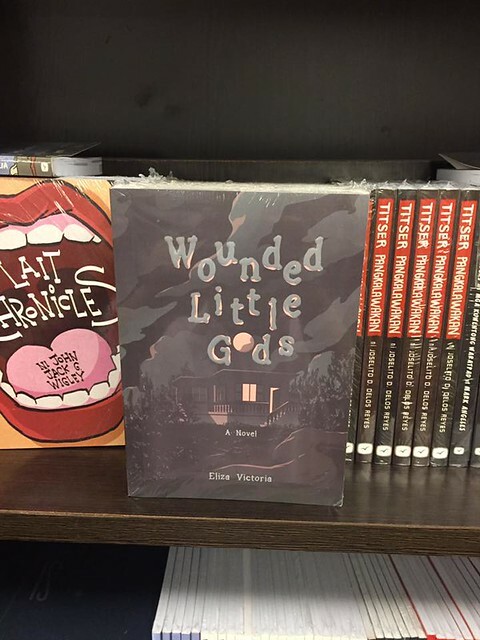 Wounded Little Gods is now out in the wild. See a couple of photos from readers below. Thank you! 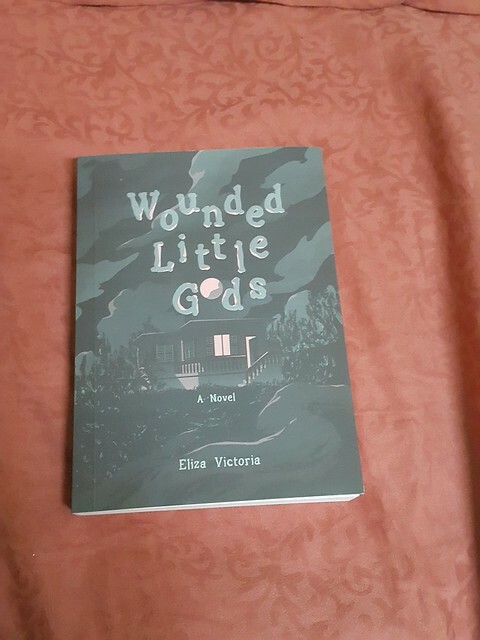 I also got my complimentary copies! 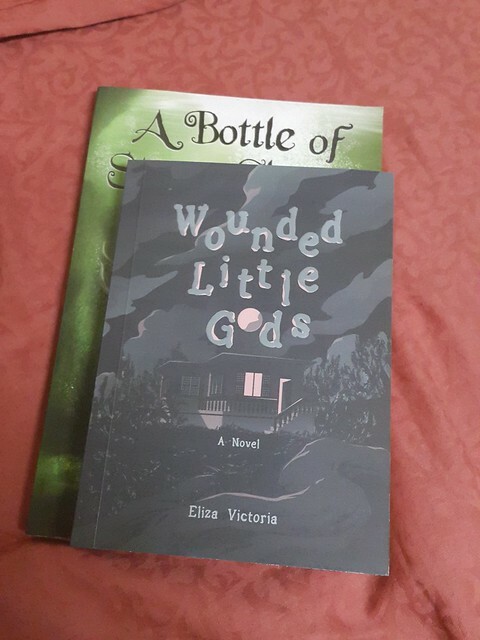 My first Visprint book with my latest Visprint book, for size comparison. 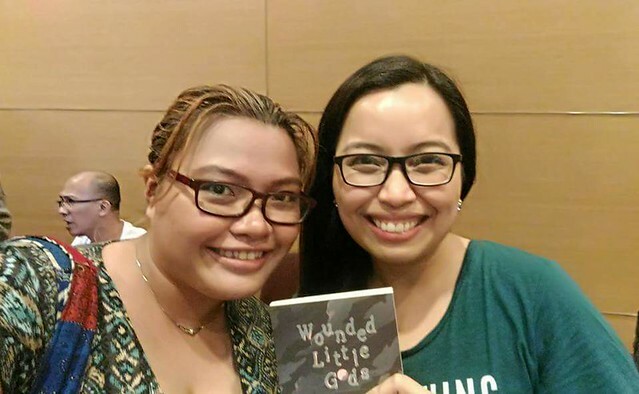 As tradition dictates, expect a book giveaway soon–but let’s talk about that later. 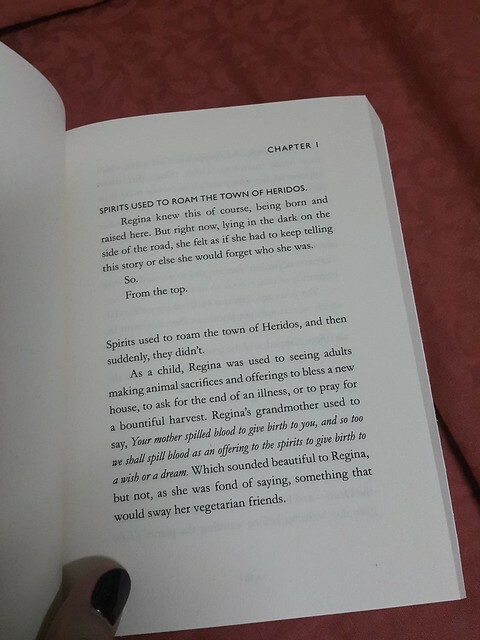 My short story “The Seventh“, published in Likhaan Vol. 9, is now available to read online. Feel free to share the link. 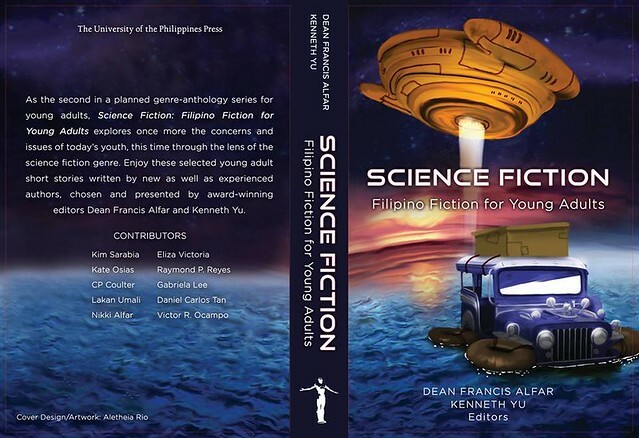 My story, “The Target”, will be appearing in the tenth volume of Philippine Speculative Fiction. Coming in April! 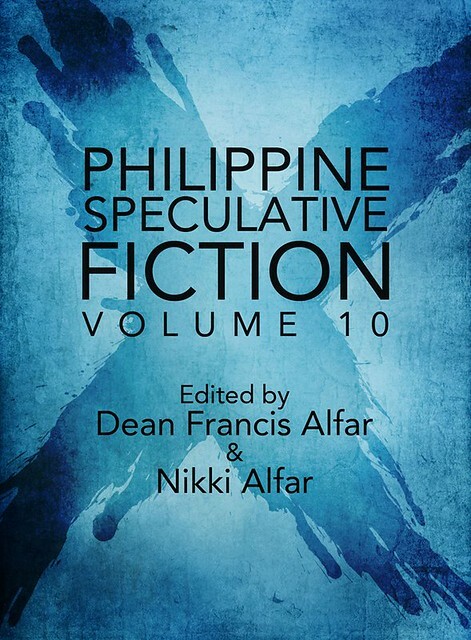 Philippine Speculative Fiction X, edited by Nikki Alfar and Dean Francis Alfar (Flipside Publishing). 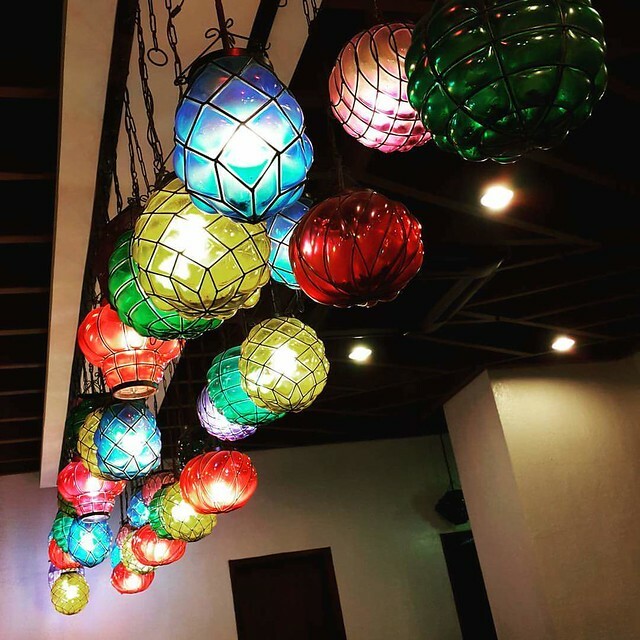 Featuring fiction from Alyssa Wong, Joel Pablo Salud, Jose Elvin Bueno, Cyan Abad-Jugo, Andrew Drilon, Gabriela Lee, Renz Torres, Francis Gabriel Concepcion, Alexander M. Osias,AJ Elicaño, Razel Tomacder, Richard Calayeg Cornelio, Sarge Lacuesta,Eliza Victoria, Victor Fernando R. Ocampo, Kenneth G. Yu, Kate Osias,Joseph Montecillo, Vincent Michael Simbulan, EK Gonzales, Noel Tio, Lakan Umali, and Raymund P. Reyes. IMPORTANT ANNOUNCEMENT! Visprint is holding a Summer Warehouse Sale at the Visprint warehouse. See map below and get to it! All of your favorite Visprint titles on SALE! From 20-50% off! April 2-3, 2016, 8am to 5pm only. You’re still here? Oh goody. Let’s get to the exciting part. 1. Buy the book. Of course! :) Delivery to book stores is pending, but you can email bookorders@visprint.net to have it delivered to your doorstep. 2. 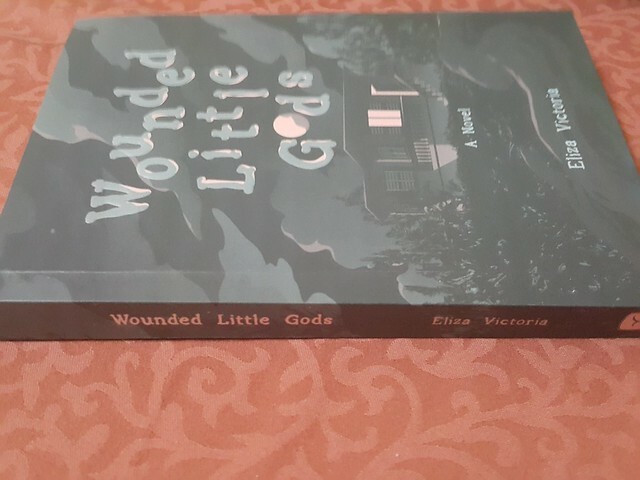 Share this link and other Wounded Little Gods info on your social networking sites (Twitter, Facebook, Tumblr, Instagram, Pinterest etc.). 3. Review the book. Blog about it. Tell your friends, whether you enjoyed it or not. If you are on Goodreads, add the book to your bookshelf and share your thoughts. To celebrate, I will be giving away one (1) free signed copy of my new book. Go to this link to see the mechanics and enter the giveaway: http://www.rafflecopter.com/rafl/display/6316c1c92/? The winner will be announced no later than April 17, Sunday. The copy will be shipped, hopefully immediately (it depends on how busy I am) via courier. 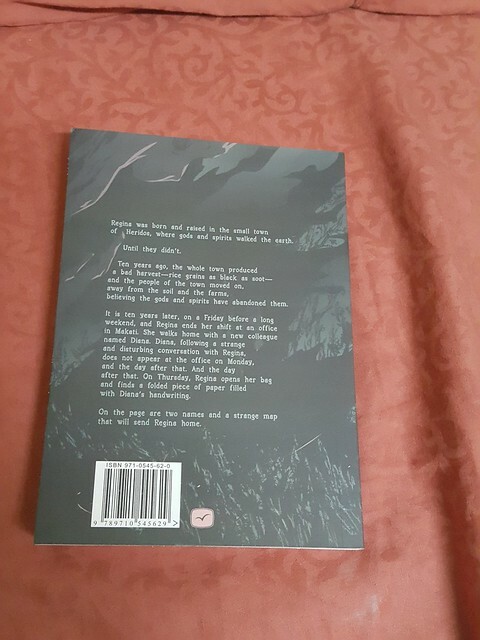 The copy I will be sending are from my own set of advance copies from Visprint, but Visprint is not a sponsor of this contest. Neither is the courier. The winner will be chosen via electronic lottery, and will be announced on this blog and contacted via email. 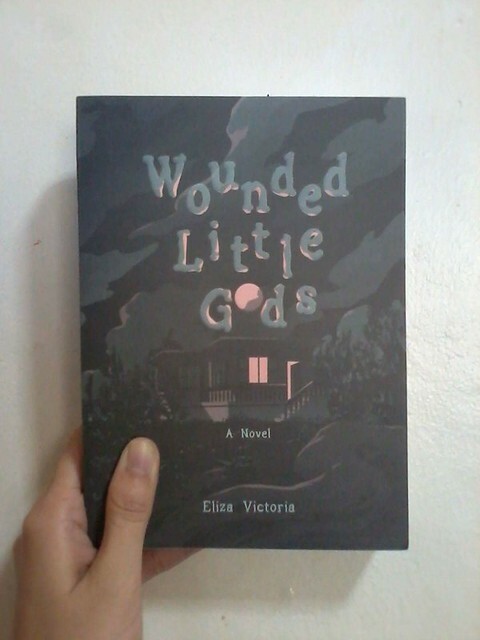 In case you didn’t know, my publisher, Visprint, is now accepting orders of my latest book Wounded Little Gods, for FREE delivery nationwide. I’m very happy to share this because I know there are readers, especially those residing outside Metro Manila, who find it hard to find my books in their neighborhood bookstores. 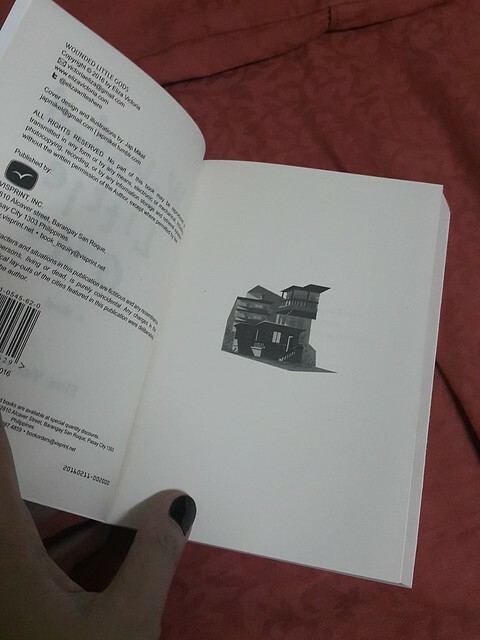 Now this book will come to you. 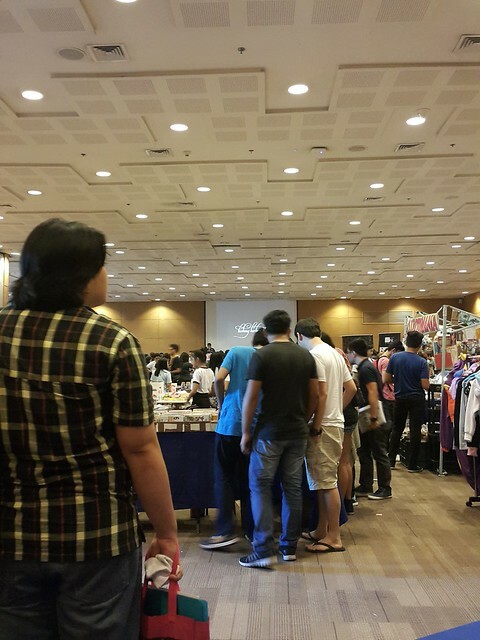 The book has 230 pages and will retail at PhP280. If you want to get your copy hot off the presses, email bookorders@visprint.net now. You will get payment details after you email them. For those who’d rather get the book in bookstores, don’t fret, because copies will hit bookstores nationwide before month’s end. Well–while we’re waiting for the courier to knock on our doors, or for the copies to hit the shelves, shall we read an excerpt? 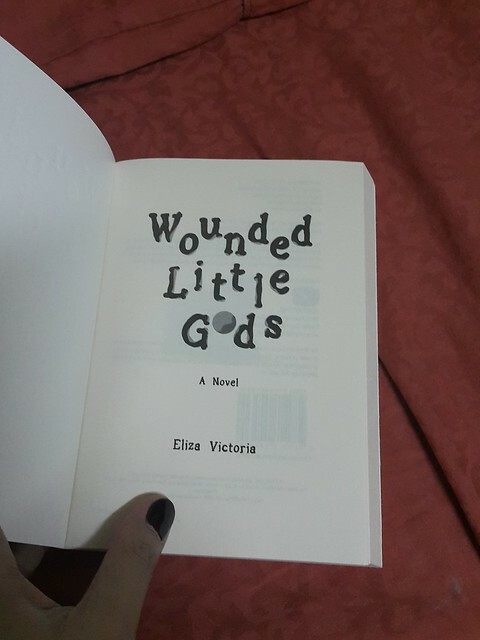 The first two chapters of Wounded Little Gods can be read below. Enjoy, and feel free to share this post. Wow I haven’t been in here since forever. 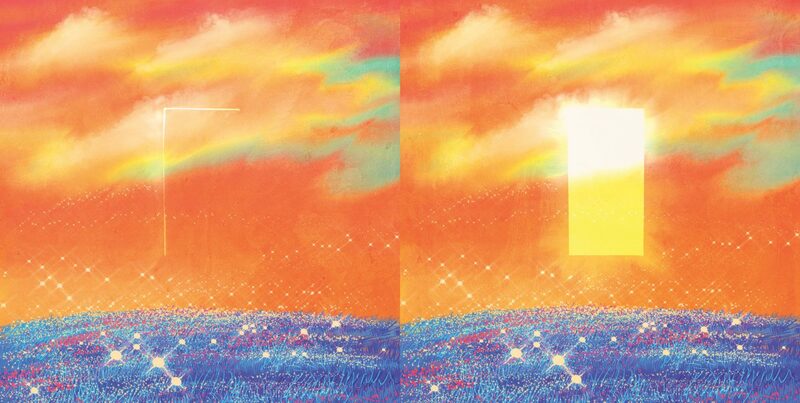 I realized that I did not have a major print release last year, and so perhaps two books this year will even things out? In other news, I will have a poem in the 42nd issue of Neon Literary Magazine. Thank you to editor Krishan Coupland. Check back on the leap day, and please consider pre-ordering or subscribing. I’ve spent today putting the finishing touches to the eBook editions of issue forty-two of Neon. If all goes to plan, the latest instalment of the magazine will launch at the end of this month, on February 29th. If you want to be one of the first people to get hold of a copy, why not place a pre-order, or even subscribe? From a brief biography of a man raised as a chicken, to a mortuary romance, to a tale that teeters on the edge of a precariously-assembled tower, this issue is packed with excellent poetry and fiction. There’s even a grotesquely surreal comic by Swedish artist Janne Karlsson, and an innocuous-looking but unique broadside by poet Jaclyn Weber. Other writers featured in issue forty-two include Luke Silver, Clifford Parody, Jane Flett, Mack W Mani, Tara White, Eliza Victoria, Gregory Cartwright, Caroline Hardaker, and Natalia Theodoridou. This will be our largest print run ever for an issue of Neon. Thanks to everyone who has already subscribed or purchased a copy – and for everyone else, it’s never too late to do so. I am still writing–though not as fast and as often as I used to, as I want to. Work and life get in the way, you know how it is. But I’m enjoying working on the new novel (a murder mystery/fantasy), even if my scattered notes and plot timelines are driving me crazy. I have broken past the 100-page mark. I have a good feeling about it. How else can you make the doomed love story of Romeo & Juliet new? Baz Luhrmann brought the young lovers to the modern age while retaining the original lines from Shakespeare’s play; Chris Melohn incorporated social media and dance; the Hypokrit Theater Company brought them to New Delhi and spiced up their story with elements of Bollywood. 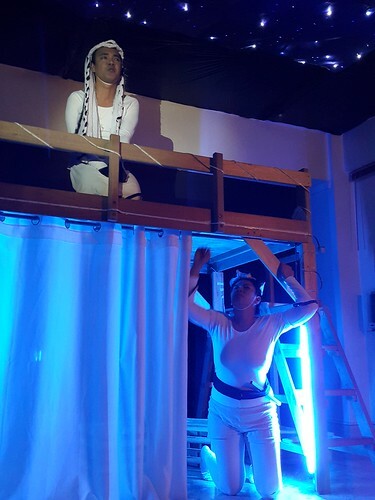 In Swear Not By the Moon, the Langgam Performance Troupe does two things: they reverse the gender roles, and they change the space, restricting fair Verona to a loft bed. 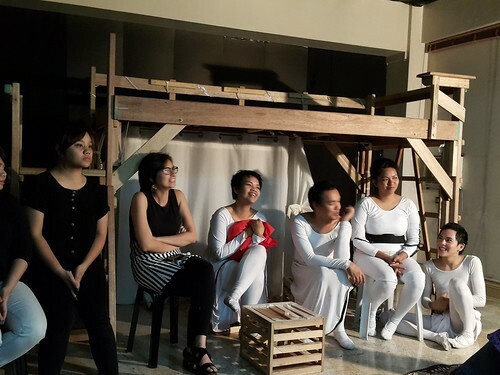 In a way, the gender bender is not that bold of an idea (it has been done before), but coupled with the restrictions in space, it makes for an interesting theater experience. 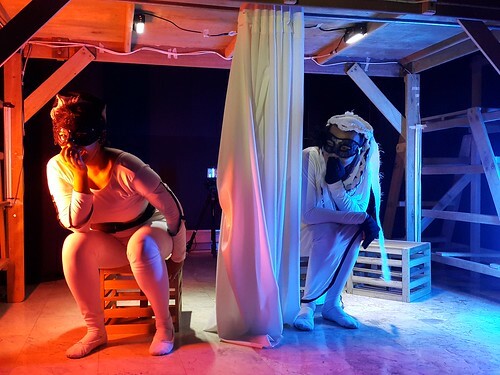 By moving away from the traditional proscenium stage, Jenny Logico-Cruz and team has to restrict the number of actors (you can’t have 10+ actors bumping into each other on that loft bed), distilling the ensemble characters into only two actors. 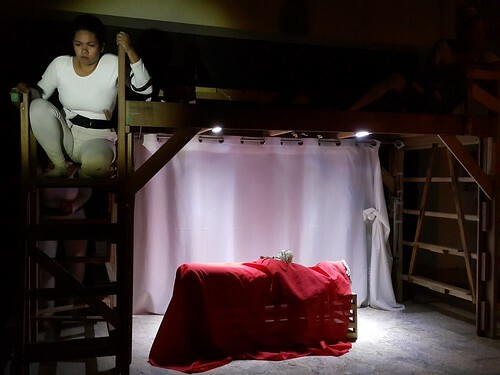 Note how the characters are categorized: the friar and the nurse–counsel and kunsintidor both–is played by the same actor (Anna Karenina Salgado, who I think is fantastic, in her first professional play), while another actor (Neil Raagas) plays the poor casualties of the feud: Lady Capulet, Mercutio, Tybalt, Paris, with the actor employing the same body language, the same languid, cat-like body movements. On a continuum, this runs Tybalt to Paris, with Paris the most cat-like of the four, draping the entire length of his body on the incredulous Juliet. 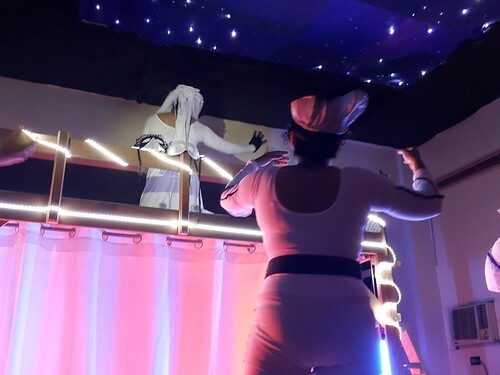 All of the actors wear white–blank slates–allowing the performance to carry the play, as the actors are unable to hide behind scenery, costume, props, or even hair. Romeo & Juliet meet at the party. My main critique would be some of the actors speak the lines so quickly that I can’t understand them. (Which could be a downer for audience members who are not familiar with the original script.) Other than that, it was a great three hours of raw theater.